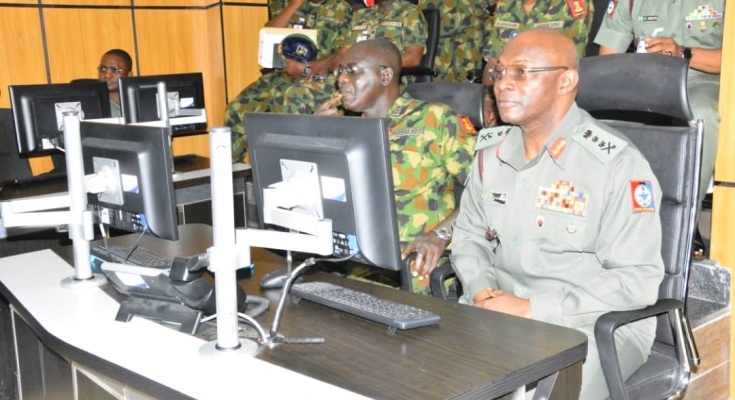 The Nigerian Chief of Defence Staff (CDS) General Abayomi Gabriel Olanisakin has today Friday the15th of February 2019 commended the Nigerian Army (NA) for responsively and proactively establishing a state of the art Elections Security Monitoring Situation Centre at the Nigerian Army Headquarters' Cyber Warfare Command. 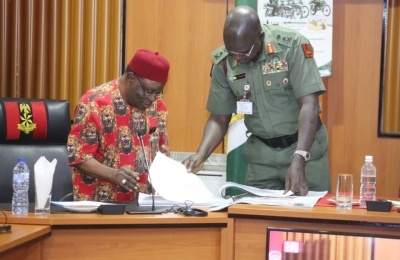 General Olanisakin was at the elections security monitoring centre to assess its state of readiness as a strong potential for intelligence and information gathering and sharing for the Nigerian Army units and formations across the nation. 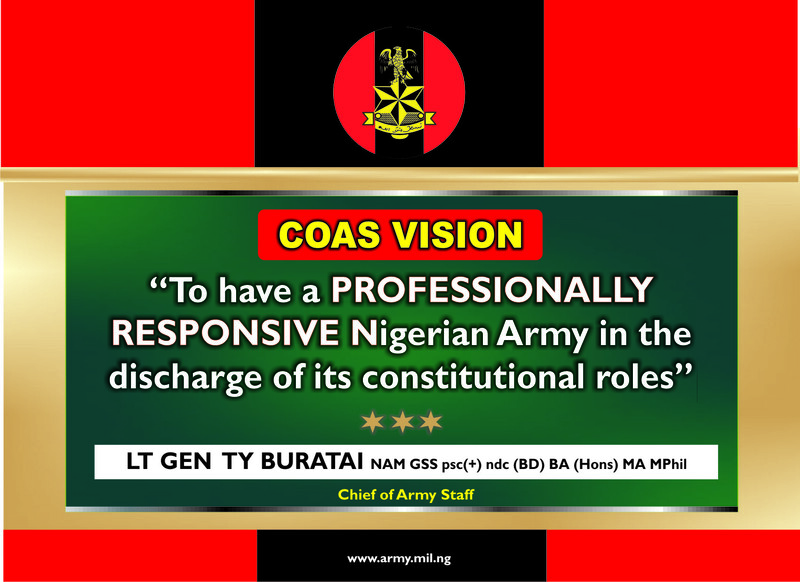 This is with the view to strengthen democracy and election security before and during the 2019 general elections. 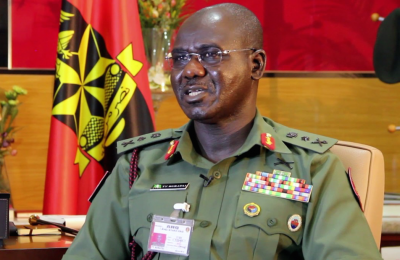 He applauded the Chief of Army Staff Lieutenant General Tukur Yusuf Buratai for his foresight in establishing a befitting elections security monitoring centre for the benefit of the country. 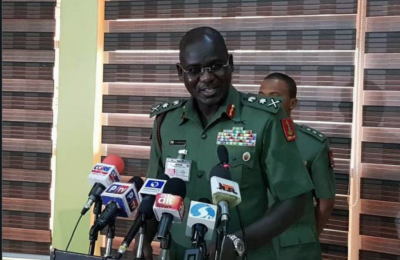 He urged Commander of the centre and his staff to continue with the good works and ensure alertness and sense of responsibility 24/7 on the part of the personnel earmarked to man the centre. 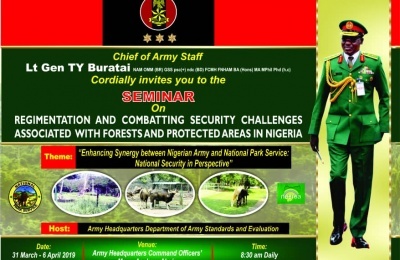 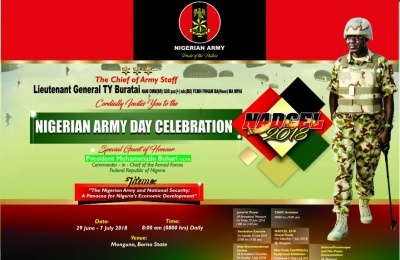 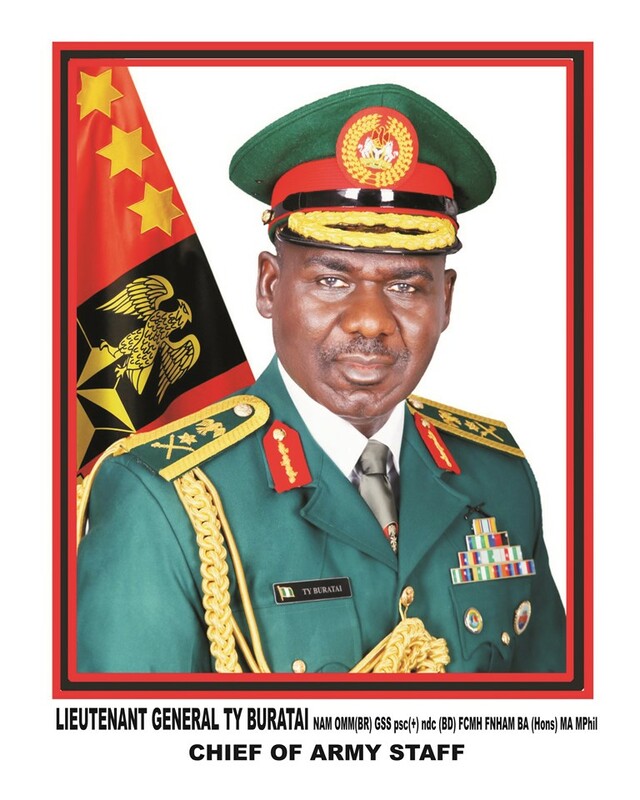 Earlier, the Chief of Army Staff Lieutenant General Tukur Yusufu Buratai remarked at the occasion that after careful observation of the cycle of violence reoccur severally in the past electioneering processes, the NA has thus deemed it necessary to adopt a proactive and responsive posture that would allow Army to better respond to early signs of insecurity before they could escalate into a major security challenge. 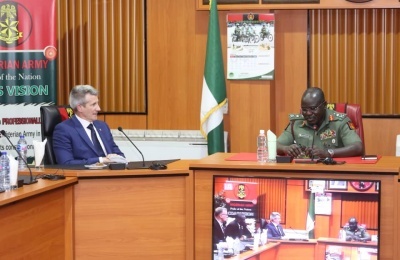 He further posited that It is in this light that the NA has launched OP SAFE CONDUCT and also gone ahead to establish this situation room for real-time monitoring of the 2019 general elections.